Floating Hearts! It’s not just Hope that Floats Upward – it’s Love. The Special Kind where you feel you’re walking several feet off the ground. 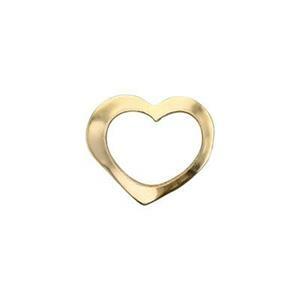 For the Hopeful Romantic that you are – we have the GF723 – 14/20 Yellow Gold-Filled Floating Heart. So Lightweight, in order to keep it from Floating away, you need to anchor it down with a custom necklace made from our Gold-Filled Footage Chains. Perfect as a tiny pendant or a lariat loop.